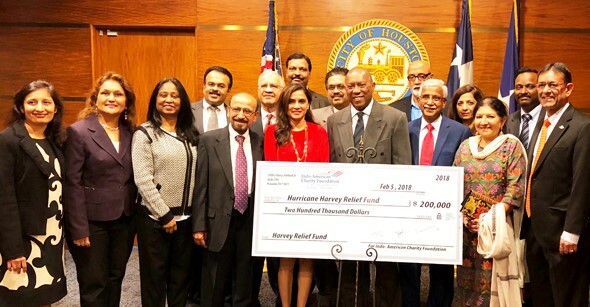 For the past 30 years, Indo-American Charity Foundation (IACF) has appealed to the philanthropic spirit of the Indo American community in Houston to address needs in the areas of Education, Family, General Welfare and Healthcare in the metro Houston area. Our motto is “We live here, We give here”, and our mission is to foster the local community “whose basic needs are met and where everyone can lead enriched lives”. 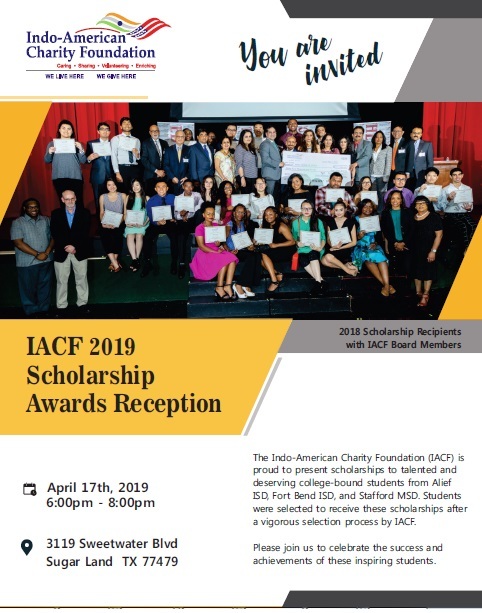 We have been providing scholarships to high potential college bound students with financial needs, supporting local charities engaged in improving the STEM education for students in inner city schools, assisting abused women and children, feeding the homeless and needy, and providing free medical clinics and vaccinations. Our organization is run fully by dedicated volunteers with all of the funds supporting local area charitable activities.